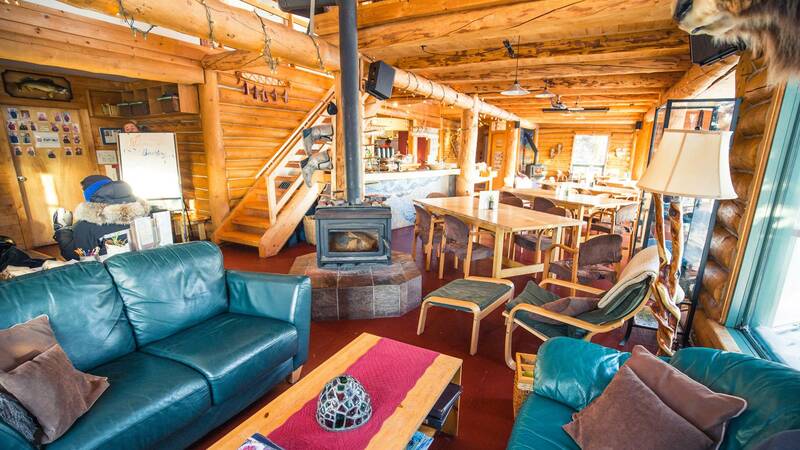 Blachford Lake Lodge is a true luxury fly-in lodge, accessible by floatplane in the summer and skiplane in the winter. There is access by snowmobile but there are no roads to the Lodge. For most, the journey to Blachford includes a flight from Edmonton, Alberta, to Yellowknife. You travel the last 20 minutes to the Lodge by four seat Cessna 185 or 17 passenger de Havilland Twin Otter. Your journey is as unique as your stay in Canada’s North! 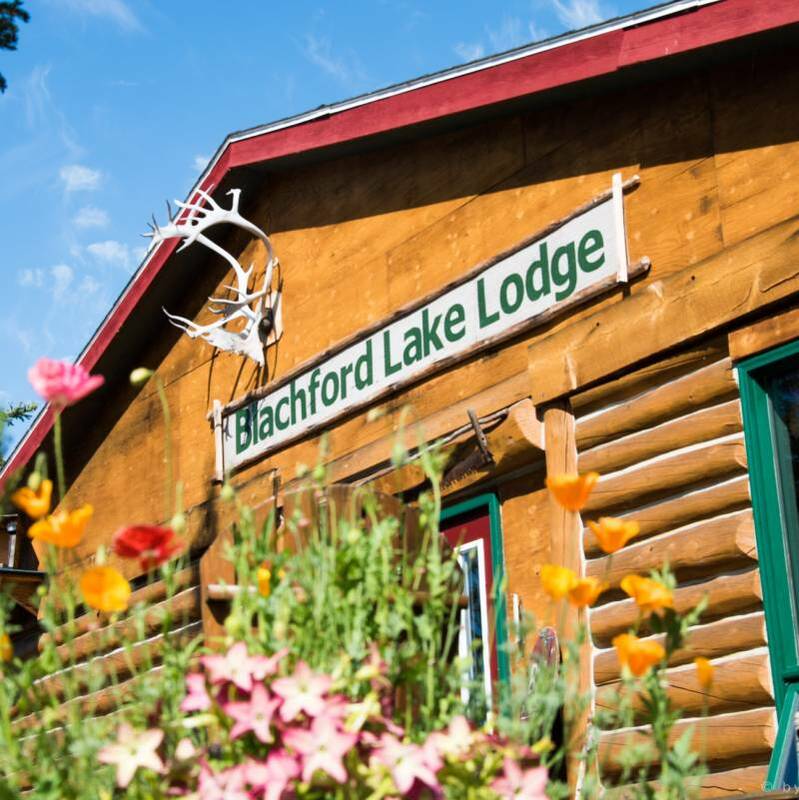 Visited by Prince William and Kate during their Royal tour of Canada in 2011 you can luxuriate in the long days of summer at Blachford Lake Lodge. This is the Land of the Midnight Sun. In June and July there are only a few hours of dusk each day. 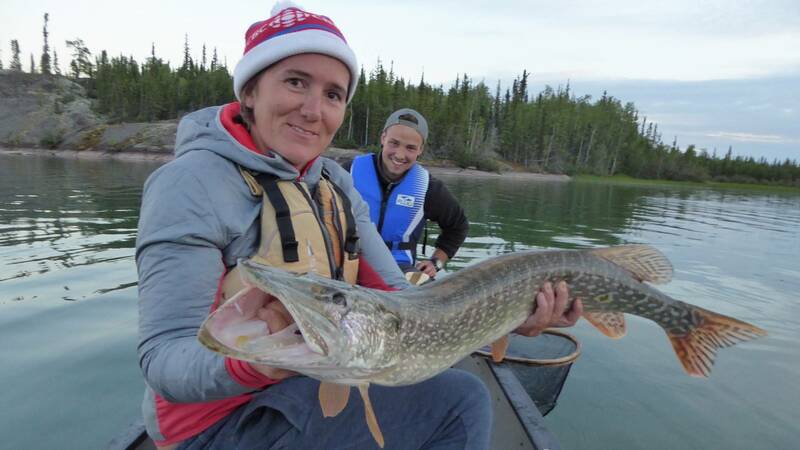 Blachford guests can enjoy round the clock activities. 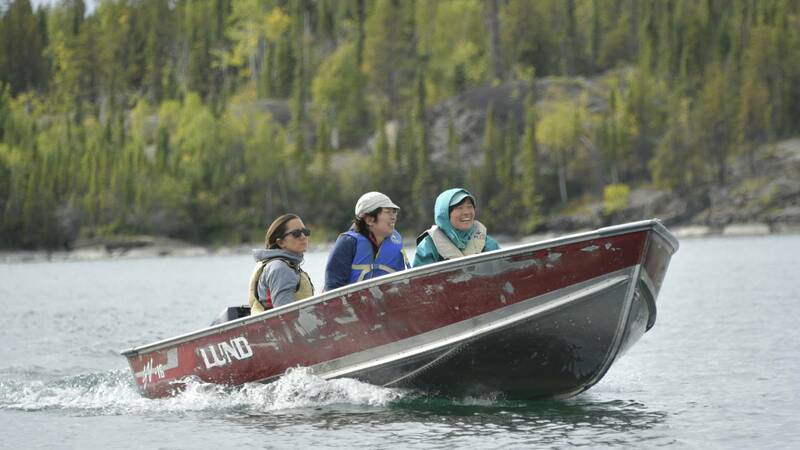 There’s fishing, hiking, canoeing and kayaking, with guides, or on your own. On long summer days there’s swimming too, in a solar-warmed northern lake. Summer or winter, the Lodge features gourmet meals and a licenced lounge. 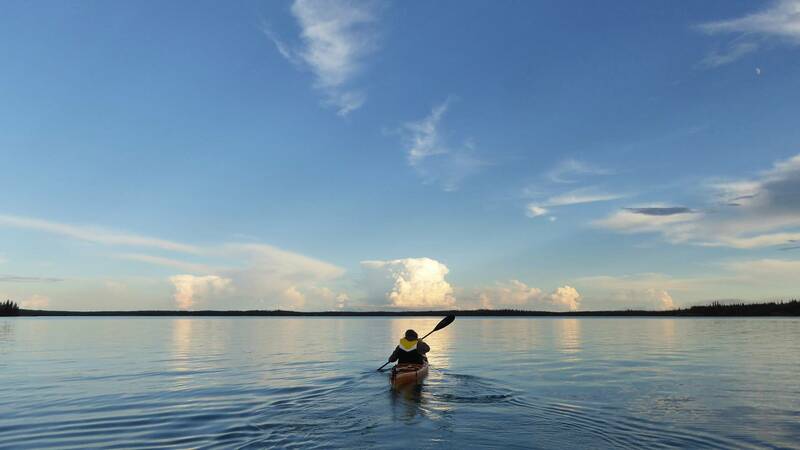 Summer temperatures average 10ºC to 30ºC – perfect for hiking, swimming, or exploring the lake by canoe or sea kayak. Departures from Yellowknife to the lodge are at 5:00pm, and departures from the lodge to Yellowknife are also at 5:00pm. In February, the flight departs the lodge at 4:00pm due to limited daylight hours. The spacious, handcrafted log lodge and log cabins offer a blend of rustic charm and modern comfort. Blachford Lodge manage to provide gourmet meals and a fine wine list – amazing when you consider how remote you are. 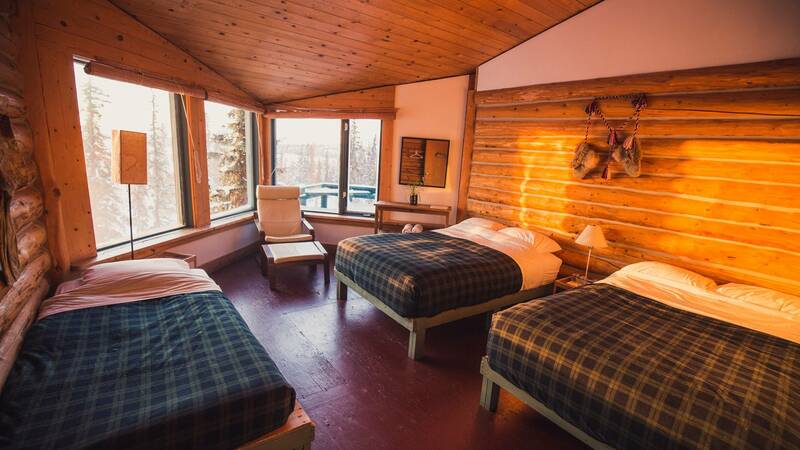 Guest Rooms – There are five large guest rooms on the second floor of the Main Lodge, with access to shared shower and washrooms. Lodge rooms are dressed with down duvets, and feature huge windows with expansive views. The guest rooms offer access to two viewing decks, the Aurora room and the lounge and dining room. The lounges offer comfortable sofas and feature a small northern library. 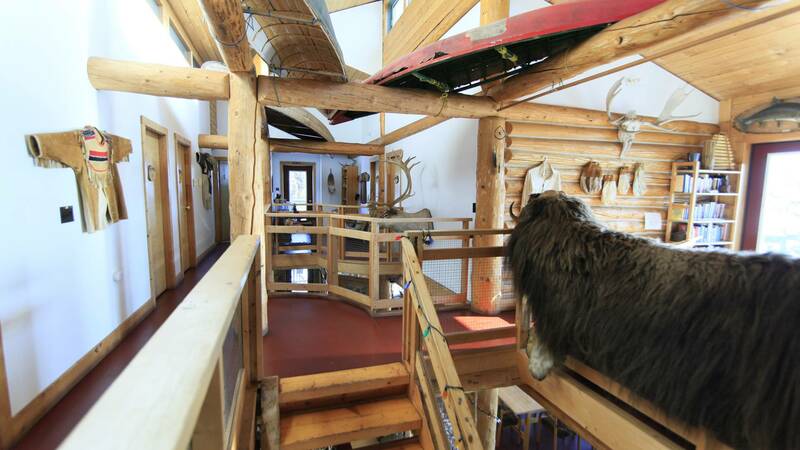 The Log Cabins – There are five rustic but comfortable cabins, each accommodating from four to six guests. The cabins are heated with high efficiency wood-burning stoves. There are outhouses located near each cabin, and the farthest is no more than three minutes walk from the Main Lodge, where full washroom facilities are available 24 hours per day. Depending on the season. In the summertime, your days will be spent kayaking, fishing, swimming and hiking. In the winter, you are more likely to be dog sledding, cross country skiing and snowshoeing. 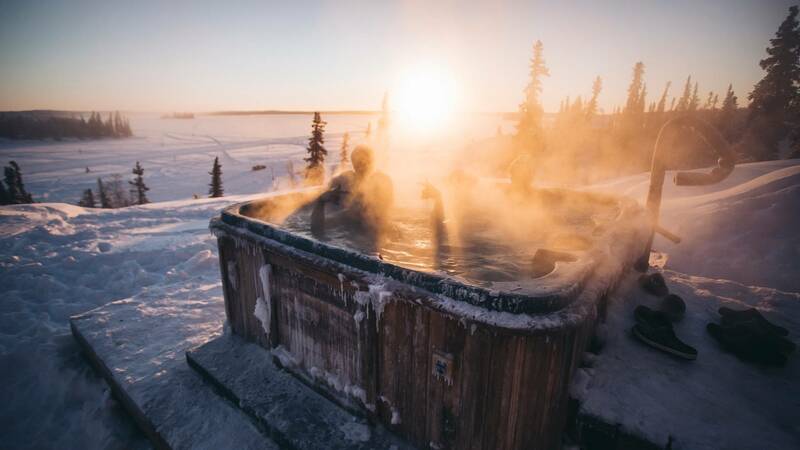 Northern Lights – We offer 2, 5 and 7-day packages during the winter from February to April and mid August to the end of September for the Aurora Borealis. If you are hoping to photograph the aurora borealis, remember to bring your tripod, remote shutter release and your widest angle lens. Best time to view is between September and April and the Northwest Territories amongst the best places. The lights have been around since the earth formed an atmosphere… since the times of dinosaurs. 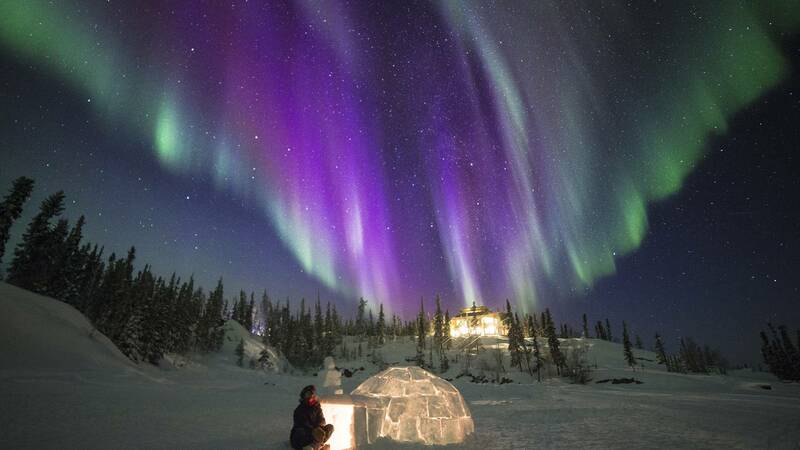 The Aurora Borealis is at its very best and most intense in the Northwest Territories. At Blachford Lake Lodge they boast over 240 potential Aurora-viewing nights. The Aurora display depends on two things, high activity on our sun, and clear weather on earth. The usually clear, dark winter nights make the best backdrop for the Auroras awe-inspiring shows of vivid Auroras, often dance directly overhead. The Aurora is a spectacular light show which occurs in the night sky. The display is caused by solar flares – eruptions of gas on our sun. The sun gives off high-energy charged particles that travel into space at very high speeds called the “solar wind”. As the solar wind interacts with the earth’s magnetic field, some particles follow magnetic fields into the ionosphere When the particles collide with gases in the ionosphere, they glow, producing the spectacle that we call Aurora. Aurora colours range from green to red, and blue and violet. The most common colour is a ghostly green, given off by oxygen atoms. Oxygen is also responsible for a reddish brown. Intense auroral displays often have purple edges, caused by a mixture of nitrogen and oxygen. The Aurora appears to move constantly in shimmering waves or curtains of light, or sometimes as huge loops or crowns of coloured light overhead.